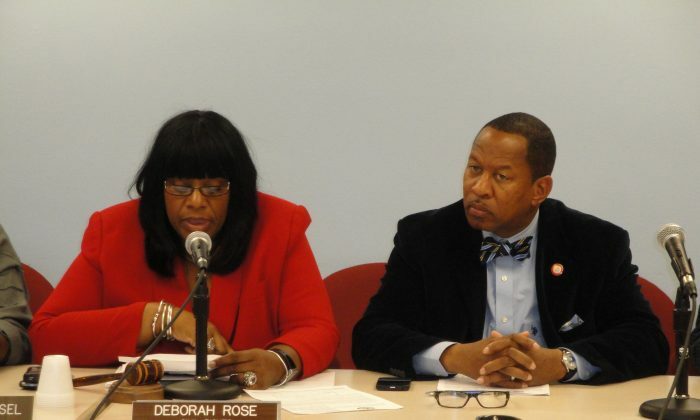 NEW YORK—The City Council voted unanimously on September 24 to pass a law that would prohibit employment discrimination based on pregnancy, childbirth, or other related medical conditions. It is already illegal to fire or demote a woman because she is pregnant under the federal Pregnancy Discrimination Act. The City Council bill, sponsored by Council member James Vacca, would strengthen existing protections. The new law will obligate employers in the city to provide some special treatment or reasonable accommodations to pregnant workers. One example, although not stipulated by the bill, could be extra bathroom breaks. Pregnant women who are discriminated against by employers may go through a long legal process without results. “Pregnancy is only 40 weeks long, and expecting mothers do not have the time to wait for the results of an investigation, especially considering how important it is for women to continue to earn income to care for their child,” Vacca said at a Committee on Civil Rights hearing on Sept. 23. In New York State, unwed mothers accounted for 34.8 percent of births in 2011, underlining the need to maintain the mother’s income. Under the legislation, a pregnant woman who feels she has been discriminated against by an employer can take the case to court or complain to the Commission on Human Rights. The Commission may then issue an order instructing the employer to “cease and desist” the discriminatory practice. The Commission could also require the employer to hire a prospective employee, award back pay, or pay compensation for damages. If employers refuse to comply with the commission’s order they could face a fine of up to $50,000. Since 2002, in New York City, 154 pregnancy discrimination cases have been filed with the Commission on Human Rights, resulting in approximately $500,000 in settlements and $12,000 in fines.